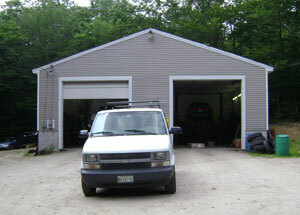 Looking For A Trustworthy And Honest Garage To Get Your Car Or Truck Repaired? Located in the Limington Maine, Chad's Auto is conveniently located for residence in York County and worth the trip from Cumberland County! We specialize in quality, affordable service for all makes and models of automobiles and trucks. State Inspections including Cumberland County! We proudly Install Quality Napa Parts!